Gaining international recognition is the first step in securing global reparations for the descendants of African slaves. May 10 (teleSUR) Venezuela is joining the Caribbean Community (Caricom) in the fight for global slavery reparations, discussing appropriate compensation for centuries of injustice. During a speech entitled ‘Reparations of Resistance to Action,’ Venezuelan Foreign Minister Jorge Arreaza urged Latin America and colonizing countries to assume responsibility for past wrongs which affected Africans and their ancestors around the world. The Venezuelan government is working to guarantee that the social rights of residents of African descent are respected, and officials have opened the floor to dialogue for slavery reparations, Arreaza said. According to the chair of the Caribbean Pan-African Network, Ralph Goncalves, the meeting is the first step towards bringing the reparations movement to an international platform. The cause was first proposed in 2013 by the 15-member Caricom, which lobbied against Britain and other colonizing western European countries. It is calling for reparations for centuries of enslavement and associated crimes against humanity, the effects of which are still felt by African descendants today. 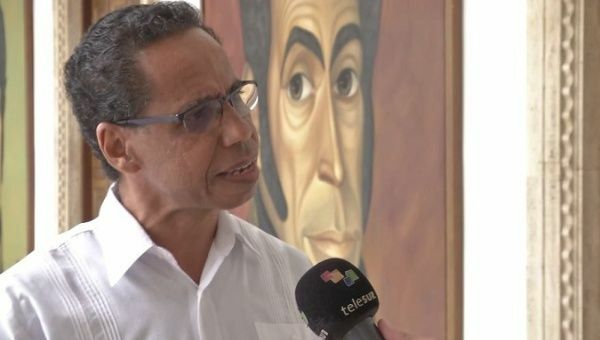 Goncalves told teleSUR that Venezuela’s support will allow the mission to expand internationally, substantiate the claim, and help to present the demands to the Community of Latin American and Caribbean States (Celac), the Bolivarian Alliance for the Peoples of Our America (Alba), the Non-Aligned Movement, and the United Nations. The next steps are to consolidate the Pan-African reparations campaign; build relations with countries such as China, Russia and India; build embassies, and appoint ambassadors to the United Nations. The event, which ended Wednesday, was an opportunity for Caribbean countries to reflect on what they can do both nationally and internationally to support the cause, Goncalves said. “Reparations is both an outward process and at the same time it’s an inward process,” he said. “The outward process is where we level demands and claims in those liable European and North American governments and institutions for the damage inflicted by slavery. “It is also an inward process where we look inwards at ourselves, at our own national societies, at our own governmental policies, at the damage that has been done at a cultural and psychic level. “That inward process says to us that we have to do several things. One, that we have to teach our people the history: the history of pre-slavery, pre-colonial Africa, the history of European colonization and enslavement, the history of our people’s resistance.